Nicole's Needlework: Early Christmas Present! My mom took me out to get my present yesterday. I'm so happy - it has been two years since I've had a nice new purse! 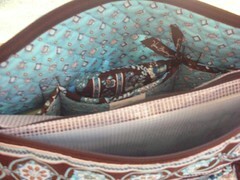 Vera Bradley "Betsy" in Java Blue. A 8x10 mesh project bag fits perfectly inside! 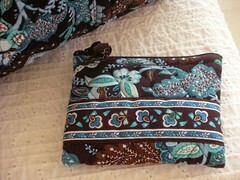 oh i have that same pattern, I love it. very cool. 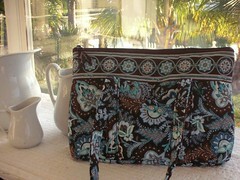 I love Vera Bradley purses - enjoy yours!! !